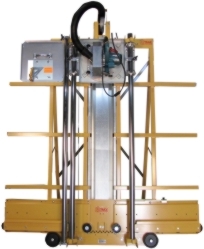 The Sign Makers Panel Saw cuts a variety of materials such as coro plastics, foam board, PVC, Dibond and wood. 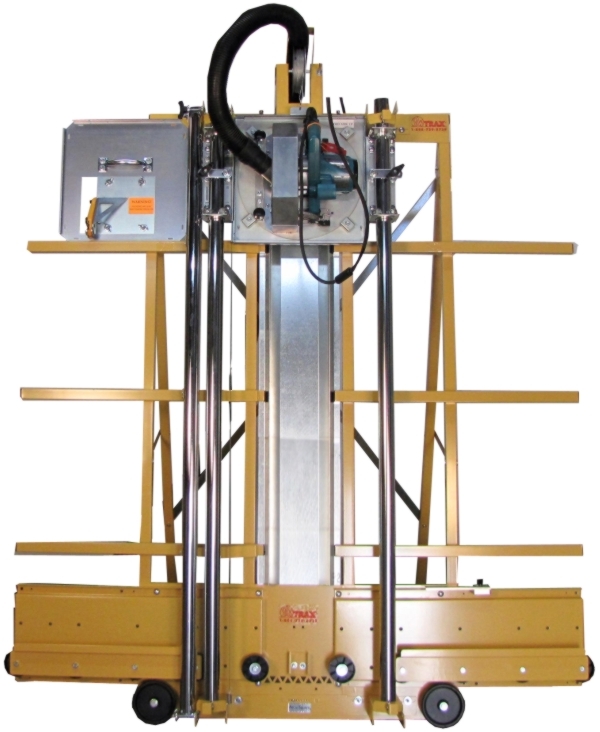 The kit encludes a saw that swivels 90 degrees so you can run your material vertically or horizontally. The folding stand is easy to open and close yet providesc complete stability. Transport wheels are included for portability. It has a powerful Makita 5007N circular saw that cuts sheet goods up to 1-3/4" with precision. Never Goes Out of Square, Accu-Square® adjustment material rollers can be raised so cuts can be started from the bottom to prevent shattering of thin plastics. 24 tooth carbide tipped blade.